Do you need plumbing software that simplifies dispatching, streamlines billing, and reduces paperwork? Does it need to integrate flawlessly with accounting, inventory, contracts, and customer support? Then you need RepairShopr! RepairShopr gives your technicians the tools they need in the field to get the job done. 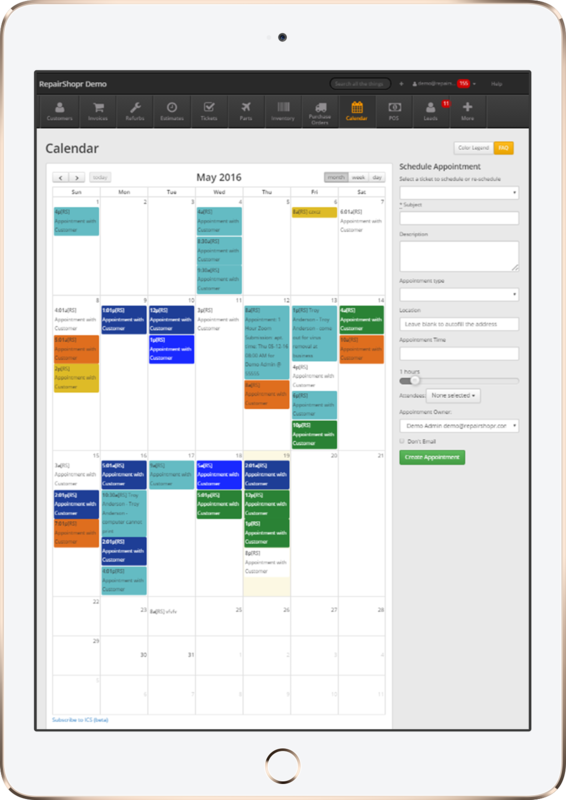 Schedule appointments, access customer information, bill customers, and send updates back to the office from one easy to use platform. Accelerate your business with RepairShopr's plumbing service software. Our built-in Marketr module makes set-it-and-forget-it marketing easy, so you can grow repeat business and increase revenue. No credit card required. No software to install. Zero-risk free trial. Give us a shot! Easily create and manage service contracts that bring in consistent revenue and ensure your business sees steady growth. 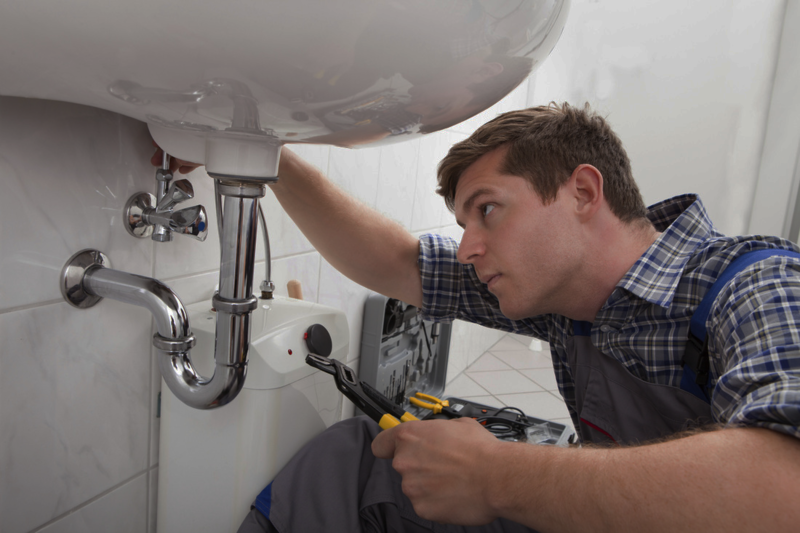 RepairShopr delivers a no-fluff software solution to managing your plumbing business in-house and on-the-go. Dispatch your team with ease using our drag-and-drop, color-coded interface that updates in real time. With on-the-go tools, techs can turn estimates into invoices and process payments on the spot. Your billing cycles will be faster than ever! An online customer database puts critical info at your fingertips. Track service agreements, service history, equipment needs, and more all in one (paperless!) place. Schedules change. Keep your techs and customers up-to-date with real-time updates and messages. Our mobile site and iPhone app mean your techs can manage work orders and process payments in the field. RepairShopr works where you do! Easily integrate your Quickbooks account. Save time and reduce paperwork when you say goodbye to double data entry.